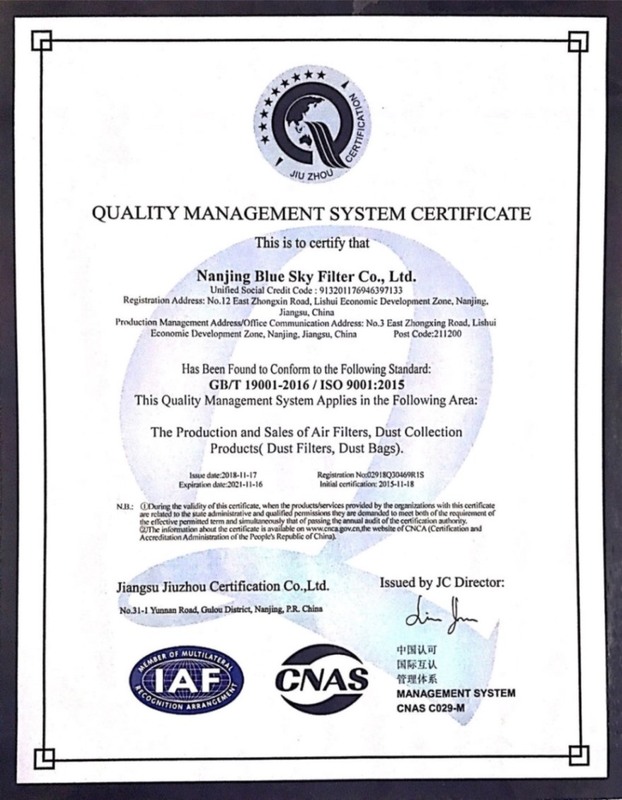 Company Overview - Nanjing Blue Sky Filter Co., Ltd.
4YRSNanjing Blue Sky Filter Co., Ltd.
As a professional manufacturer of air filtering products with ISO9001 and ISO14001 in China, Nanjing Blue Sky Filter Co.,Ltd. 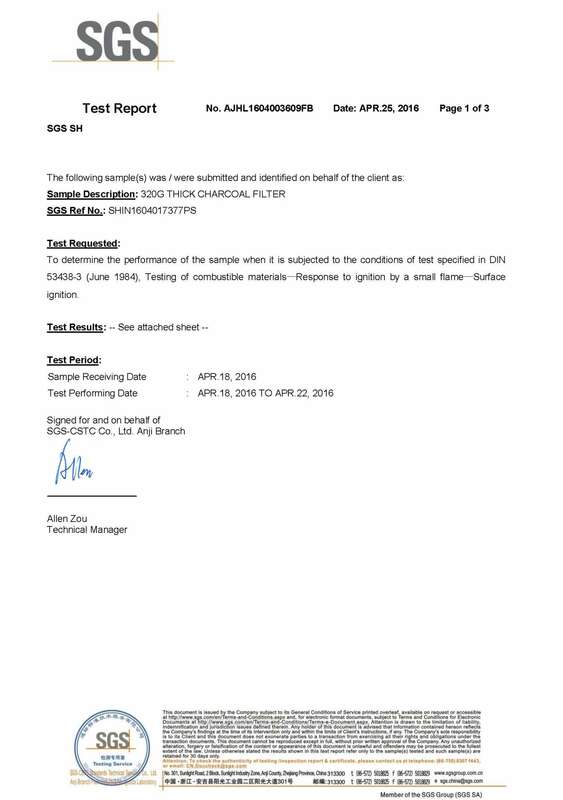 Produces and supplies the following items:1. Dust bags / air filters for the vacuum cleaners.2. 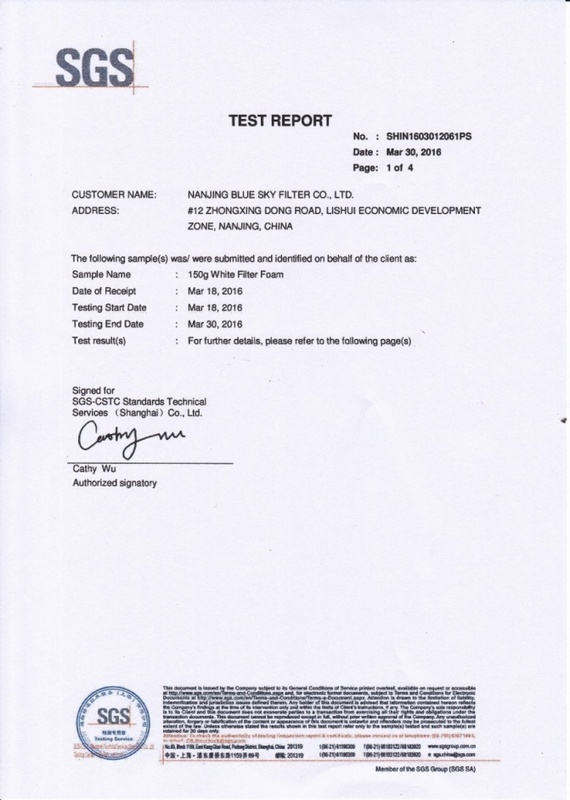 Air filters for the air purifiers / air scrubbers / humidifiers / dehumidifiers3. 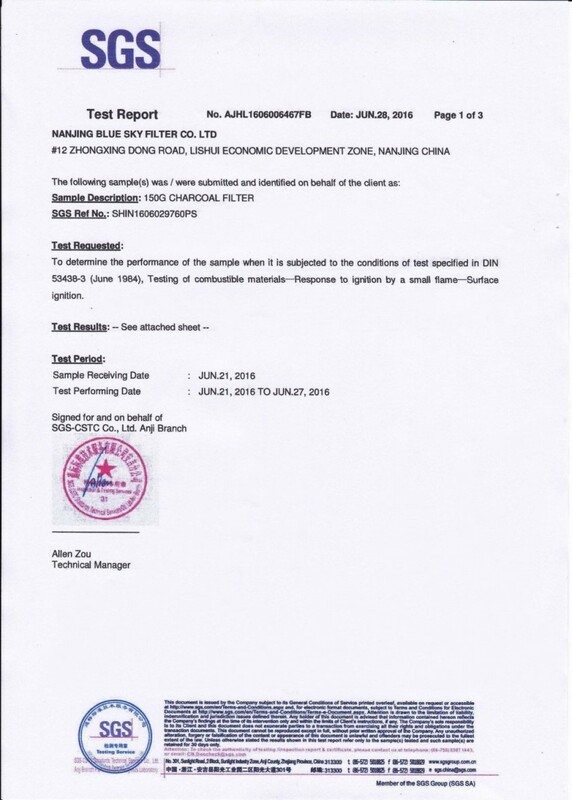 Grease Air Filters for Kitchen Cooker Hoods4. Odor / Smell Absorb Air Filters for Refrigerators5. Air filters for motors and automobiles6. Advanced air filters for medical appliances7. Prefilter + HEPA filters for HVAC and any other usages, such as V-bank HEPA Filters8. Air Filters and filter bags for the industrial machines and equipment as the replacementsOur air filters are various with different shapes and materials according to the customer's specifications and requirements.And the efficiency grade is from low to HEPA 14 grade (MERV 19) according to EN779, EN1822 and ASHRAE.And our technical department is ready to develop any new air filter item for residential, commercial and industrial use. 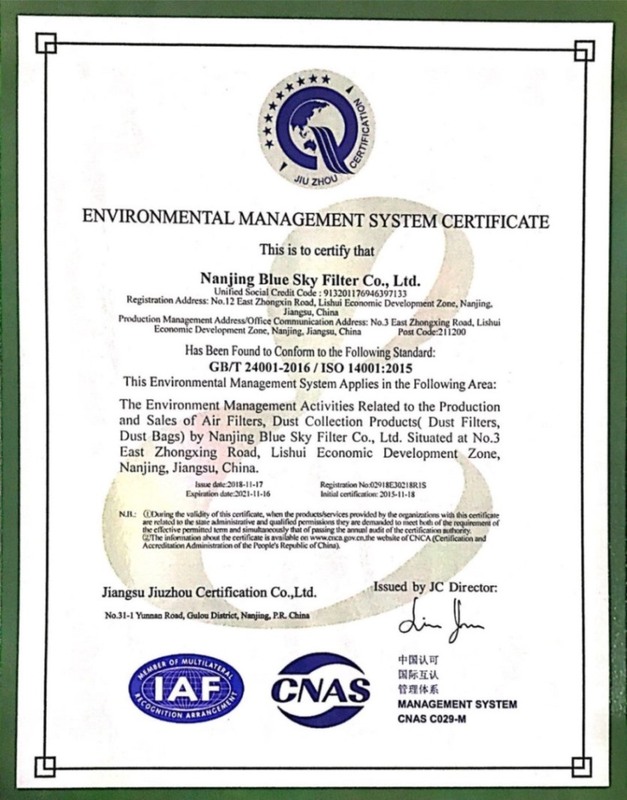 The Environment Management Activities Related to the Production and Sales of Air Filters. 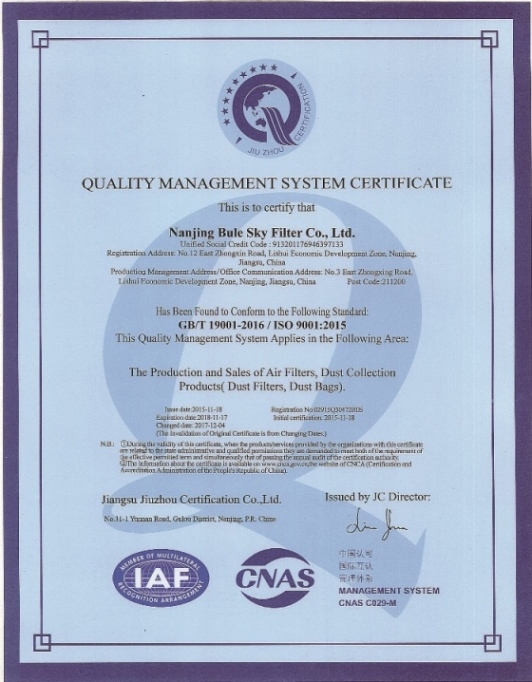 Dust Collection Products( Dust Filters, Dust Bags) by Nanjing Blue Sky Filter Co., Ltd. 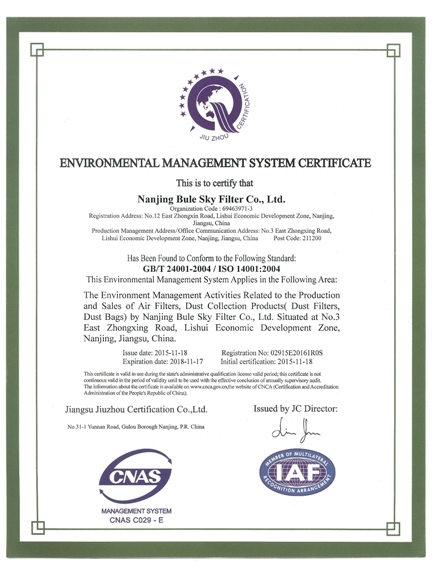 Situated at No.3 East Zhongxing Road, Lishui Economic Development Zone, Nanjing, Jiangsu, China. 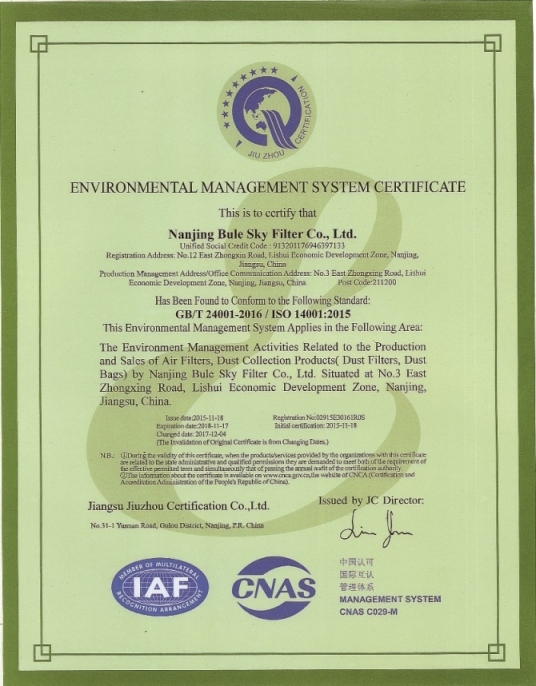 The Production and Sales of Air Filters, Dust Collection Products(Dust Filters, Dust Bags).